A Norwegian randomized clinical trial shows that it is safe to change from expensive originator medicine to a less expensive biosimilar product. The effect is the same but the costs are reduced more than 50% in Norway. This means that more patients can receive this important treatment. The results of the study are now published in one of the world’s most recognised medical journals, The Lancet (journal impact factor 44.0). The findings have been covered by the Norwegian Broadcasting Corporation (NRK). 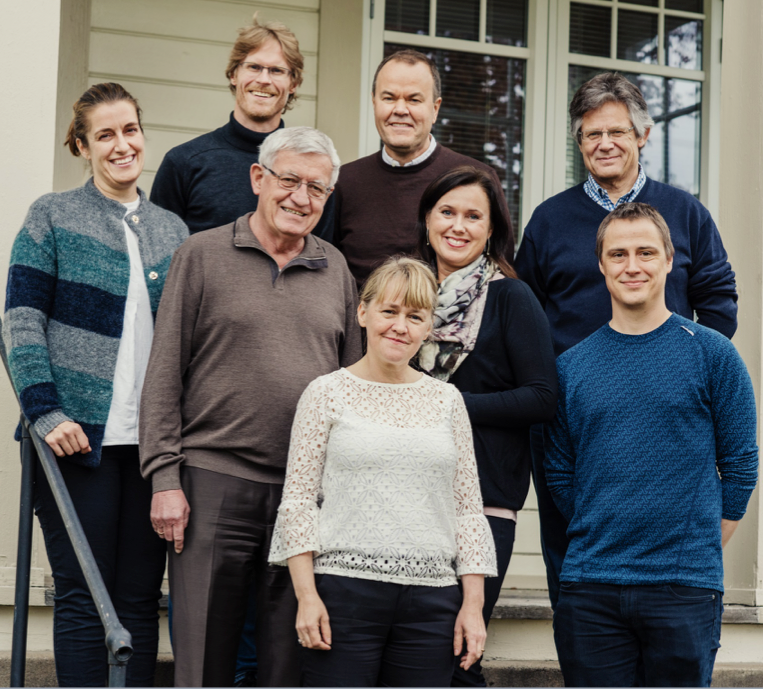 Scientists participating in the study affiliated to Oslo University Hospital were Merete Lorentzen (shared first authorship), Knut Lundin and Nils Bolstad. The NOR-SWITCH study 1, headed by the Rheumatology Department at Diakonhjemmet Hospital in Oslo, Norway, is fully financed by the Norwegian government with 20 mill NOK. The study is the first of its kind and has been given significant international attention. 482 patients were included in this double-blind study. They had all been treated with the biological medicine infliximab (Remicade®) and had one of the following diagnoses: Rheumatoid arthritis, spondyloarthritis, psoriatic arthritis, ulcerative colitis, Crohn’s disease or psoriasis. Half of the patients switched from Remicade® to the biosimilar medicine Remsima®, while the other half continued using Remicade®. The 482 patients were followed closely over a year, with disease activity measures, occurrence of adverse events, drug levels and formation of antibodies against the medication. The results show that switching from the expensive to the less expensive medicine neither affected the disease activity nor occurrence of adverse events in patients with the diagnoses mentioned above. - Whatever measures we used, we could not find any difference between Remicade® and the biosimilar Remsima®. In other words, it is safe to switch to the less expensive medicine, Professor and Head of the Rheumatology Department, Tore K. Kvien says. He is the principal investigator of the NOR-SWITCH study. Biological medicines came into use at the end of the 1990s, and since then they have been used for treatment of many diseases. Biological medicine is effective but very costly. Because of the costs, many countries with a weak economy have been reluctant to use such drugs. The NOR-SWITCH study opens for a wider use of biological medicine, because it proves that it is safe to change from an expensive to a less expensive medicine. Thus, the same amount of funds can be used to treat more patients. Professor Kvien says: Patients with the most active and severe disease will be candidates for treatment with biological medicine. They experience less pain and other symptoms from their disease, and their quality of life improves. The advance of good treatment means that more people can work instead of receiving disability pensions. Biosimilar medicines are still relatively new in use, and have been met with scepticism. In 2014, the Norwegian government decided to fully finance the NOR-SWITCH study to find out if changing from Remicade® to Remsima® would be safe. Many people have waited for the results of this study. The recent publication in The Lancet can be of considerable significance both nationally and internationally. The results have already been of significance in Norway. Most of the patients who would have been treated with Remicade® are now using biosimilar medicine. The cost savings are estimated to be 200 mill NOK per year. Therefore one can conclude that an investment of 20 mill NOK in a research study has led to a considerable reduction in treatment expenses. These agents block certain substances in the body which cause inflammation and damage to the tissue of the joints, intestines and skin. Biological medicines have a complicated molecular structure and are produced by advanced methods that also involve living cell lines. This is why the originator biological cannot be copied exactly. Instead, it is possible to make very similar molecules - biosimilars. The question has been whether it is safe, considering effects and adverse effects, to switch from biological to biosimilar medicine, for patients who respond well to the original biological medicine. NOR-SWITCH was financed by the Norwegian government with 20 mill NOK in 2014. 40 Norwegian medical departments at 25 different hospitals have been involved in the study and 482 patients were included. The patients who were included have one of the following diagnoses: Rheumatoid arthritis, spondyloarthritis, psoriatic arthritis, ulcerative colitis, Crohn’s disease or psoriasis. NOR-SWITCH is a randomized, double-blind study. The South-Eastern Norway Regional Health Authority was assigned to the study, and Diakonhjemmet Hospital was given the responsibility of heading it. Switching from originator infliximab to biosimilar CT-P13 compared with maintained treatment with originator infliximab (NOR-SWITCH): a 52-week, randomised, double-blind, non-inferiority trial. Jørgensen KK, Olsen IC, Goll GL, Lorentzen M, Bolstad N, Haavardsholm EA, Lundin KEA, Mørk C, Jahnsen J, Kvien TK; NOR-SWITCH study group..
Lancet. 2017 May 11. pii: S0140-6736(17)30068-5. doi: 10.1016/S0140-6736(17)30068-5.